As the mom of a kiddo with Sensory Processing Disorder, I still fumble sometimes on that “elevator speech” about how you describe SPD. I’ve finally gotten it down to – “Sensory Processing Disorder is when a child’s body misreads the sensory signals he’s getting, often overreacting or under reacting to his surroundings.” Usually the conversation branches out from there. The fact is many people just don’t understand the foundation of what sensory processing is. Today, I’m welcoming Natasha Daniels, a child therapist and author of the upcoming book How to Parent an Anxious Toddler (affiliate link), to explain the basics of just what sensory processing is. 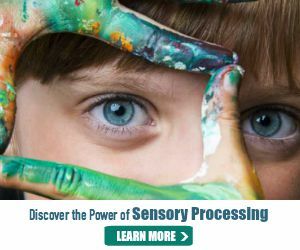 What is sensory processing? In my world of child therapy and blog writing – I have made an incorrect assumption that everyone knows and understands sensory processing issues. I am reminded weekly in my therapy sessions with parents that this is not the case and that parents often feel lost and confused around this topic. For those parents I work with and all the parents out there in the sea of confusion – I have written this for you! Here are the basics broken down. 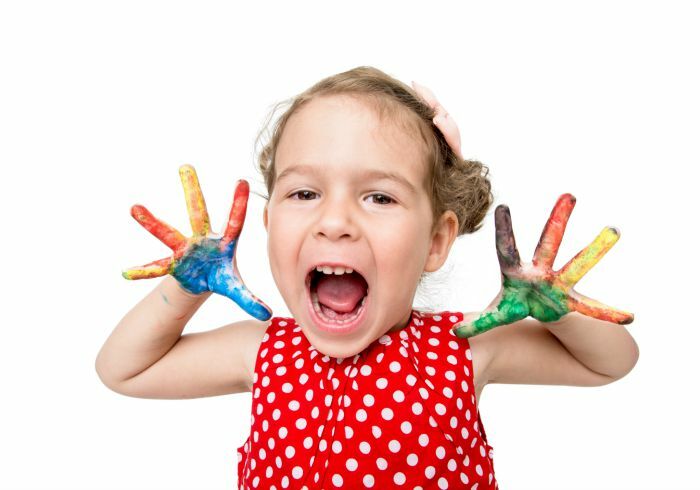 Sensory processing has to do with how children take in their world through their senses. Children on the Autistic spectrum or those that have anxiety are more prone to having sensory processing issues, but anyone can have these struggles. An emotionally sensitive child can be more physically sensitive as well. Children can be too sensitive (hypersensitivities) or not sensitive enough (hyposensitivities). Many children have both of these issues – depending on what sensory input you are talking about. Some children feel more than other children. They feel those sock seams, those tags, those boo boos and tight shoes more than other children. They can’t wear certain clothes and tend to not like jeans. They are more sensitive to the temperature of their body, their food and their bath water. They are more sensitive about combing, washing and styling their hair. This can be quite a scary and debilitating issue. Some children are overly sensitive to the taste, texture and pressure of foods in their mouth. They might gag when having mixed textures (e.g. yogurt with fruit in it) or only want to eat bland foods. They may not like the feel of food in their mouth. On the opposite end of the spectrum, some children need to keep their mouths constantly stimulated and like to chew on everything and anything around them. They might drool and stuff their food into their cheeks when they eat. They might chew on their shirts and on their toys. These children have – what I like to call – supersonic noses. They can smell everything more intensely and often this is not a good thing. They get overwhelmed with smells and might want to avoid restaurants or other environments where the smell is too pronounced. Some children have supersonic hearing. They hear sounds louder than the rest of us. These children will often cover their ears when the rest of us are just fine. They get startled by noises and will often want to avoid loud places like fireworks, movies and concerts. Even mundane noises like the vacuum, garbage disposal and dryer can cause distress for these children. This category can be very confusing. These children have a hard time planning where they are going (motor planning). They can appear clumsy, accident prone and uncoordinated. They might have poor posture or seem “floppy.” Some children might bump into things, play too hard with toys and want to wear tight clothing. These children may not like to be hung upside down or to be spun around. They may not like being backwards in cars or going on fast rides at amusement parks. They might have weak stomachs and get motion sickness more often. It is important to remember that these children truly feel these sensations more intensely than the rest of us and they need our patience and understanding. This is by far not a comprehensive or detailed explanation of Sensory Processing Disorder. My hope is that this article will provide you with a quick explanation of a very common issue. For more information on Sensory Processing Disorder visit The Sensory Spectrum or the Sensory Processing Disorder Foundation. Read Jenny’s personal journey parenting a kiddo with Sensory Processing Disorder and her own tips! About Natasha: Natasha Daniels is a child therapist and toddler mental health specialist. She obtained her post-graduate training at The Harris Institute for Infant Mental Health, but her three children have taught her the most valuable lessons! Natasha splits her time between her private practice and her writing. You can read more from Natasha on her site Anxious Toddlers. Find more articles and stories touching on special needs in my Voices of Special Needs series. Great breakdown and written in a really inclusive and empathetic way — THANKS! Hi This is a great article, however I have to disagree with the Fancy Word for Hearing being “Auditory Processing”. Auditory Processing has nothing to do with whether or not a child can hear. Auditory processing refers to the way the brain processes auditory information. Sorry just to add that my son had supersensitive hearing, yet has an Auditory Processing Disorder. I found this article very informative as my son has been diagnosed with autism so i am trying to learn as much as i can so i know the best way to help him. And a lot of things that have confused me or made me wonder why he reacts or has a full on melt down with some things well you have answered a few of them just with this one article. Im 27 and have an 8 year old daughter too. And i never thought this would be something that i would ever need to know about. My son who is the one that is autistic is 4 now and he got his diagnosis at 2 and half he has taught me so much himself and is still teaching me now. But i am still struggling with some things even now and i have read loads. I should be an expert but sometimes I still feel like i know nothing. So i welcome any information that could help as i wanna give my son the easiest life i can thankyou. 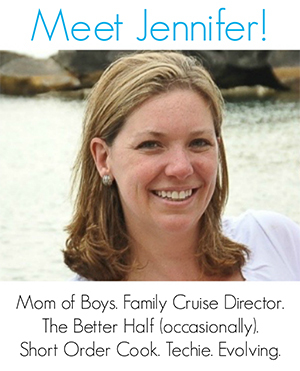 As moms, we all become experts. But I don’t think the learning ever stops. My son is 9 and I’m still learning about his sensory stuff (as well as ADD and Dyslexia). Keep on pushing forward! Also, I invite you to follow my other blog that focuses solely on Sensory Processing Disorder, which many kiddos with Autism also have. You can find it at http://www.thesensoryspectrum.com. While this is a good article, I don’t feel it did a great job at addressing the “opposite” sides of each which are also included in sensory processing disorders. Usually, it is a child is hyper- or hypo- sensitive to each category and sometimes even mixed up across or within the categories (hyper-sensitive to sound but hypo-sensitive to touch). Some kids seek vestibular input and some avoid it to the max. Some kids won’t feel you touch their arm and some will think you hit them even if you lightly touched them. I also found this article needing more on the ‘seeking’ side to be a well rounded introduction to SPD.